I am new at this so please bear with me. 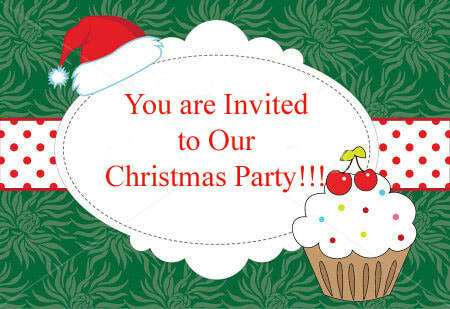 I would like to update you all on our ideas for this year’s Holiday Party at Kally-K’s, located at 3383 U.S. 19, Spring Hill, FL 3606 at 11:00 AM on December 2, 2017. I have been in touch with Marge Thompson and she has a wonderful idea for our favors. I can check that item off. Next, there will be two games that we will play, one is to “Name the Holiday Tune” by filling in the missing letters and the second is to “Locate and list each item” called out by myself in your purse. We will also have an “Ugly Holiday Sweater” contest. The winners of the games and contest will receive a gift. We will be having Holiday Music. Please bring in your favorite holiday CDs. Make sure you name is on the case. Singing is definitely on the menu! I have made copies of the menu so that you can decide on your selection in advance in order to save time when ordering and more time for fun!! I have also decided to ask the membership to donate either $10.00 in scratch offs for the Holiday Tree or donate a Theme Basket of your choice, ie: Italian, French, Garden, Art, Kitchen, Barbecue etc, the Theme is of your choice or donate a beautiful painted piece that was never painted at a meeting or a workshop! There will also be a few special surprises!! Thank you to Jean Thompson and Pat Dtto for donating their time in selling tickets for the Chinese Auction. We really appreciate you stepping up so quickly! If you have any questions or suggestions for me, please call me 727-233-2100 or email me at varriccp@aol.com. Give some thought to your basket theme if that is your selection and let me know what you have chosen so we don’t get duplicates. NOTE... We have included a copy of Kally K's menu for you to review and help you have an idea of what you would like to order when you get there.